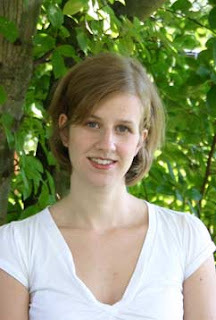 My guest today is another writing friend, Roseanna White. I've come to know Roseanna over the past year as we're both members of HisWriters writing group and I discovered a kindred heart. Aside from Roseanna's devotion to Christ I so appreciate this young woman's intelligence. I've asked Roseanna to write a short piece to encourage you to lean on the Holy Spirit. I've always been one of those people accused of thinking too much. I can't learn something new without trying to weave a story around it. For me, history class was always just fodder for future novels or short stories. But nothing has ever made me think so much as developing my novel A Stray Drop of Blood. The story's set at the time of Christ, and the pivotal scene is the crucifixion. I had to really stop and examine everything I believed. Everything I've read in the Gospels. Everything I wanted to achieve. Up until my college experience, I'd never taken much time to question the Christian faith I grew up with. I believed. Soul deep. So why wonder? As a child, it was easy to just accept that the Bible was fact—Jesus is God, all is well, and I'll be living eternally in heaven. But as I entered discussions with people in college who not only didn't share my beliefs but held profoundly different ones, it forced my mind open. I began to see these Gospel Truths in a new way—no less True, but something that could be reasoned through. Dissected. Understood. I began to realize that faith didn't have to be blind. It could be educated. I was writing A Stray Drop of Blood all through college, as I studied the culture, the texts, the discoveries, and the history of the time. The more involved I got, the more clear my vision became. I didn't just want to do another retelling of a Bible story. Yes, I wanted to incorporate the facts presented in the Gospels. But I wanted to really make people see how epoch it was. How new. How truly miraculous. We grow up learning that Jesus fed the five thousand with five loaves and two fish. It's taught as a miracle, so . . . sure. Of course I believe. It would have been deemed gross exaggeration at the least. But it wasn't—it was true. So what must it have been like to hear this fantastical story and then feel that strange tug within, the one that wants to believe? Another lesson we're taught as Christians is that it isn't always easy, but if we read the Bible and pray, He'll guide us. Very good, very true. But what about before Christians had the Bible? Before they even had the title “Christians”? What must it have been like for them, to live each day in a secular world, surrounded by ungodly people who scoffed at them for their beliefs? Can you imagine how hard it would be not to falter, not to fall into the same sins you lived in before you came to understand the message of Messiah? They had to rely on the Holy Spirit, and the more I wrote, the more I wanted the kind of faith that could also totally rely on the Holy Spirit. I want a faith that appreciates what it has but exists on a level dependent only on Him. Am I there? Some days I feel like it. Others I don't. But one thing I know: humanity hasn't changed, and neither has God. Whether in Jesus' day or two thousand years later, when we cry out to Him, He answers. Then and now, there is amazing power in that stray drop of blood that changed my heroine's life. 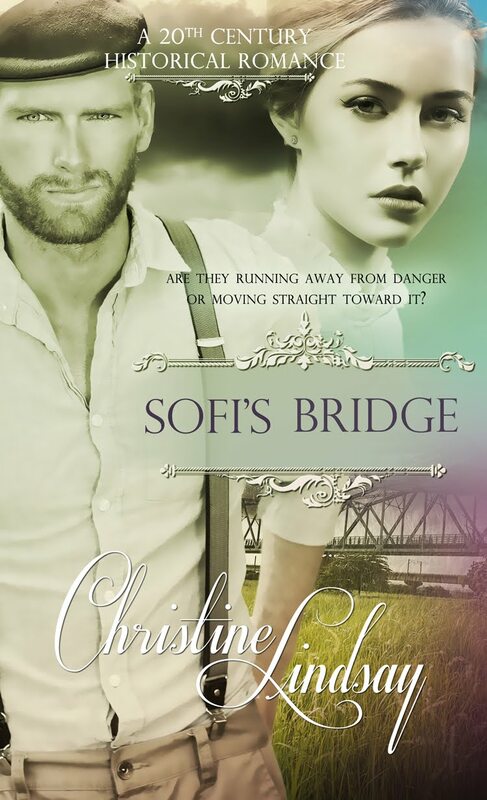 Christine again: I hope that Roseanna's words have given you room for thought. It's always enjoyable for me to share other authors and their works so that you may check out their books and be inspired. 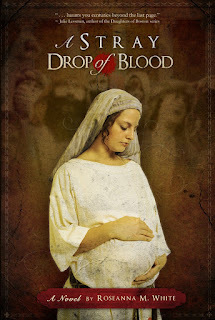 I know that Roseanna's latest book, A Stray Drop of Blood. will inspire while entertaining you. Not since Francine River's Mark of the Lion series have I been so enthralled with a Biblical historical novel. I found Roseanna's depth of historical detail of the time of Christ mesmerizing. It is a love story, but so much more. In Stray Drop of Blood, Roseanna created a character, Abigail, a young Hebrew girl, who comes to live in the home of kind Roman soldier and his wife. At first this seems like an overdone idea. But the author truly breathes life into this story from the very first page. Abigail grows up to become an educated and beautiful young woman. But being beautiful can often place a women in the greatest danger. As a vulnerable Jewish slave in a Roman home Abigail comes under the indolent and selfish gaze of her master's son, Jason. The author impressed me with how she dealt with an immoral situation on the part of Jason in a delicate manner. 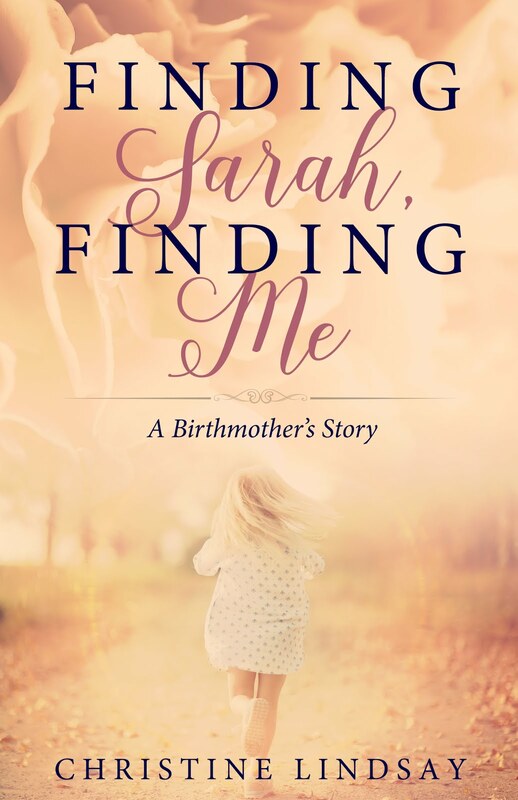 At first it appears Jason has ruined Abigail, but then the author turns it all around. This story is not typical. Half-way through the book everything changes with the crucifixion of Christ. Through the eyes of Abigail we see and feel what the sacrifice of Jesus did for us. A drop of His blood sets Abigail free in a way she has never been. The author has woven a story that not only glistens with historical detail, but draws the reader into a very human drama. The characters, Abigail, Jason and finally Titus, see the change of the world as the Christ dies and comes to life again. Through their eyes the reader learns what it is to be a Christian for the very first time in history. But we also see how these characters are like us. In some ways history has changed nothing. The characters struggle with the same sins as we do today. I applaud the author's ability, by using no graphic images, to show what some would call the sophisticated struggle with human sexuality in all its tender and tormenting moments. This story is emotionally and intellectually satisfying. Double-click here on the title A Stray Drop of Blood if you wish to purchase it.